Even the most Instafamous MUA in the world is beholden to the necessity of a good primer. Your primer is the canvas on which you build your beauty. Without it, whatever you do next is doomed to fail. But starting with a great base means more than creating a clean slate. 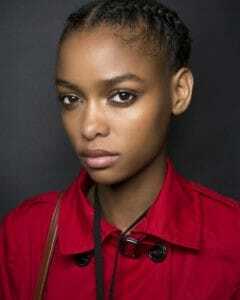 Keep in mind that your primer is applied over your entire face and neck. It’s the closest makeup to your skin and, depending on its ingredients, can work with or against your skin health. Dimethicone: used to provide a smooth application and finishing texture, this chemical is a skin irritant that can cause dryness, allergic reactions, and exacerbate acne. Siloxanes (D4 & D5): a softening, smoothing, and moisturizing chemical ingredients, siloxanes can disrupt hormone function and cause liver damage. For complete peace of mind that what you’re putting on your skin in Step 1 of your makeup routine is not harmful, you should be seeking out natural and organic primer. The best organic primer and natural primer will be free of all of the above and full of vitamins, nutrients, and minerals that are naturally derived. Start your day or nighttime look off on the right foot with the best organic primer and natural primers. We’ve sought out the top 8 natural and organic primers and detailed their unique benefits below. You’ll need no more than a pea-sized amount of this popular primer to achieve an all-day look that won’t allow your makeup to smudge, run, or blend without your express permission. While it keeps your makeup in place with uncompromised hold, it also delivers nourishment in the form of grapefruit, green tea, and white tea extract. Not only will those hard-working ingredients revitalize the skin, they’ll also provide antioxidant protection against environmental aggressors. To achieve the ultimate in a smooth and silky finish, this primer utilizes olive oil, 3 variations of salvia sclarea water, and avocado oil. Perfect for use on oily skin thanks to a semi-matte finish that minimizes oil and shine, it’s effective and compatible for use with pressed, powder, or liquid makeups that are built on top. Use Alima’s primer in combination with this Color Balancing Powder ($24) to brighten your complexion and even your skin tone. 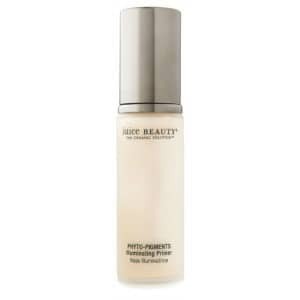 Apply this enhancing power after your primer and before your foundation for a radiant and clear skin tone. Formulated to be the perfect compliment to any foundation that follows, this certified organic primer regulates your skin’s oil production with glycerin – making it great for correcting sleek skin that tends to be overly shiny and oily. But because your face is typically one of the first places to start showing the sagging associated with aging, this primer is formulated with botanical juices, antioxidants, alkanes, and other anti-aging ingredients that illuminate the skin and restore radiance. You’ll find everything from coconut to hyaluronic acid in this carefully crafted anti-aging formula. Instead of toxins that harm your skin, cause imbalance, and even clog pores, 100% Pure designs formulas using the healthiest of ingredients. In this plumping and hydrating primer, they’ve included collagen-boosting aloe to combat the visible signs of aging and seaweed to revitalize skin that’s lost elasticity. Use this all-day primer for the perfect matte finish that also controls oil and provides a smooth base on which to build your look. 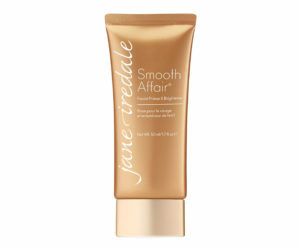 This ultra-high-performance primer is a moisturizer, primer, and no-color foundation all in one. Containing the original organic BB cream for the best in anti-aging, as well as exotic ingredients like organic pumpkin and papaya complex, evening primrose, and essential amino acids, Vapour calls this their luxury primer for good reason. Anti-inflammatory and beneficial to all skin types, it contains absolutely no chemicals or silicones. And if you already have a favorite foundation but you want all the benefits of this luxury brand, try their Stratus Soft Focus Skin Perfecting Primer ($60), available in 3 shades . 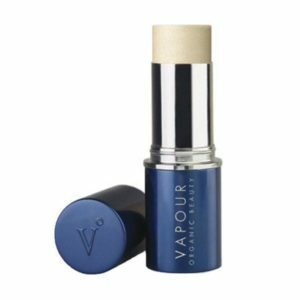 It’s designed to balance all skin type while providing a smooth and even skin surface for building as well as a soft satin finish. Available in dry skin and oily skin formulations, Sappho now allows you to choose the perfect primer for your skin type. While each is formulated to meet the specific needs of your skin type, they both contain essential ingredients like antioxidants and phytonutrients and use jojoba oil as their hydrating and refreshing base. 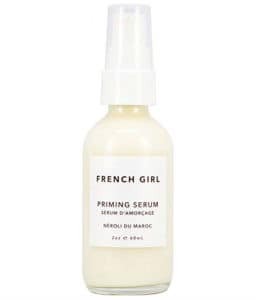 When you need a lightweight base that acts as more of a restoring serum than a primer for building on, French Girl has you covered. This brightening serum is packed with anti-aging ingredients for those of us where fine lines and wrinkles are more of a concern than highlighting our cheek bones. But, don’t fret, just one small pump can be used as a translucent and healing primer after your cleansing, toning, and moisturizing routine. One of the best organic primer’s on our list in terms of anti-aging, this smooth finish will keep working throughout your day and night. It diminishes even the most obvious fine lines and wrinkles and improves skin elasticity. Key ingredients include lavender, apricot, and jojoba oil, which not only promote the healthiest of skin but also protect it from damage. 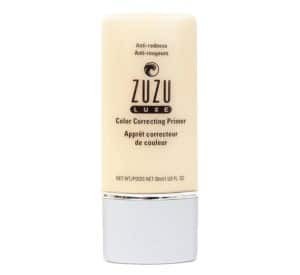 Zuzu Luxe delivers 5 different affordable primers to target specific skin concerns inclusive of dullness, blotchiness, sallowness, redness as well as lack of luminosity. All of these natural primers are vegan, cruelty-free and also free of known irritants like mineral oil, talc, gluten and parabens. All good makeup tutorials start with a primer – and so should you. When your building, blending, and diffusing your makeups to create the perfect look, you need something that keeps it in place. 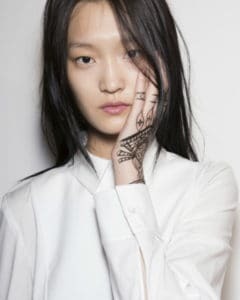 And when you can find an organic or natural primer that does both that and promotes healthy, balanced skin, then you’ve got the best of both worlds.